Deze Osho klassieker van weleer ‘Zarathustra The Laughing Prophet’ is in herdruk verschenen, in een eigentijds jasje. Het boek handelt over “Thus spake Zarathustra” van Friedrich Nietzsche.Osho heeft het over Nietzsche als creatief genie die in staat was om, onder inspiratie van de inzichten van Zarathustra, uit zijn tijd te breken. Het westerse spirituele klimaat bood hem niet de kans om verlicht te raken, aldus Osho. Maar hij gaf aan, dat het oosten hem daartoe wellicht in staat gesteld zou hebben. In het boek staat dit statement centraal: De mens is niet af. Hij/zij is in wording, in continue groei en transcendentie. Nietzsche zag als enige heilzame weg voor de mens om zichzelf te overstijgen, op hoger plan te brengen, als een constante uitdaging. Het alternatief is een in zichzelf opgesloten mens, een totaal afgeknot zijn. Dit laatste zag hij niet als realisering van het mens-zijn en zijn eigen leven getuigt hiervan. In het boek geeft Osho zijn unieke en verfrissende commentaar op Nietzsche’s werk. 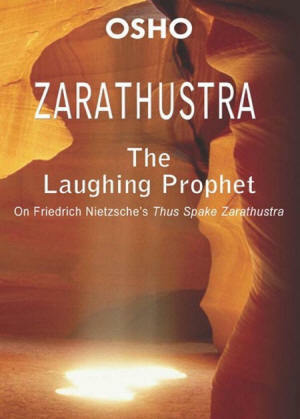 Het boek ‘Zarathustra the Laughing Prophet’ is verkrijgbaar bij de Boekhandel. Nietzsche’s creative genius sought out a great master from the past and he wrote of Zarathustra in a way that enabled him to project all his longing, his vision, and all of his yearning to break out of a life that had become an intolerable prison for him. In these talks on Friedrich Nietzsche’s Thus Spake Zarathustra, Osho is indicating where Nietzsche’s vision came close to the truth and where it fell short. Osho says that had Nietzsche been exposed to the mystical traditions of the East he could have become enlightened. One of the most important things to be understood about man is that man is asleep. Even while he thinks he is awake, he is not. His wakefulness is very fragile; his wakefulness is so tiny it doesn’t matter at all. His wakefulness is only a beautiful name, but utterly empty. You sleep in the night, you sleep in the day; from birth to death you go on changing your patterns of sleep, but you are never really awake. Just by opening the eyes, don’t befool yourself that you are awake. Unless the inner eyes open, unless your inside becomes full of light, unless you can see yourself, who you are, don’t think that you are awake. That is the greatest illusion man lives in. And once you accept that you are already awake, then there is no question of making any effort to be awake. The first thing to sink deep in your heart is that you are asleep, utterly asleep. You are dreaming, day in, day out. You are dreaming sometimes with open eyes and sometimes with closed eyes, but you are dreaming, you are a dream. You are not yet a reality. And, of course, in a dream whatsoever you do is meaningless, whatsoever you think is pointless, whatsoever you project remains part of your dreams and never allows you to see that which is. Hence Buddha’s insistence – and not only Gautama the Buddha but all the buddhas have insisted on only one thing: “Awake!” Continuously, for centuries, their whole teaching can be contained in a single word: be awake! And they have been devising methods, strategies, they have been creating contexts and spaces, and energy fields in which you can be shocked into awareness. Yes, unless you are shocked, shaken to your very foundations, you will not awaken. The sleep has been so long, it has reached to the very core of your being; you are soaked in it. Each cell of your body and each fiber of your mind has become full of sleep. It is not a small phenomenon. 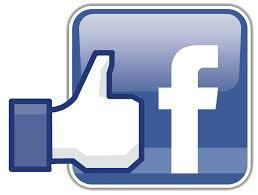 Hence, great effort is needed to be alert, to be attentive, to be watchful, to become a witness.